The strange coffin is made to cut down on labor and the amount of space the person takes up. 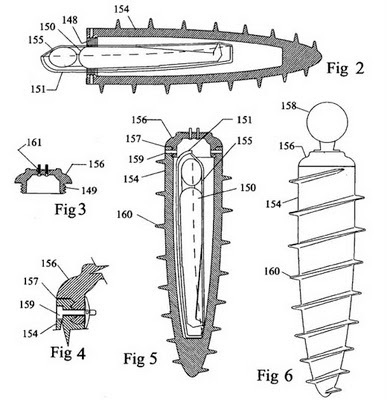 A small coffin is pushed inside of the screw, then it’s just basically drilled into the earth. It’s purely a concept design by Donald Scruggs who was awarded a handy little patent for this design. Hopefully the design has a way that makes it difficult for random people to screw the body back out of the earth again. The design is a little bizarre, but it’s a happy medium between being cremated and getting a traditional burial. Plus, perhaps somehow the top of the screw could double as a headstone.